Dept To Chennai By Flight. Arrive In Chennai Airport Meet Our Representative And Transfer To Hotel. Over Night Stay In Chennai. Morning After Breakfast Proceed For Chennai City Tour. Visit Visit St. George, Govt. Museum, Valluvarkottam, Snake Park, Kapaleeswarar Temple, Marina Beach. ( Govt. Museum Will Be Closed On Fridays And Brila Planetarium Will Be Covered On That Day) (Snake Park Will Be Closed On Tuesday). Over Night Stay In Chennai. Morning After B/F Dept Kanchipuram. Kanchipuram Is Known For Golden City Of A Thousand Temples.This City Famous For Both Its Temple And Its Hand Woven Silks Saris. 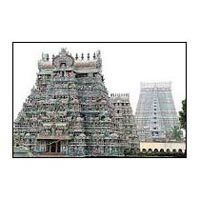 Visit Ekambareshwar Temple, Kailashnath Temple, Kamakshi Temple, Ekambareshwar Temple, Kailashnath Temple, Kamakshi Temple, This Temple Built In 7Th And 8Th Centuries. 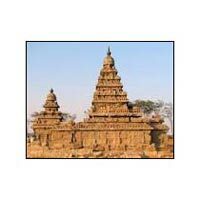 Afternoon Leave Kanchipuram And Drive To Mahabalipuram . On Arrival In Mahabalipuram Transfer To Hotel. Over Night Stay In Mahabalipuram. Morning After B/F Visit Mahabalipurm Temple Which Is Some Of The Most Beautiful Rock-Cut Temples In The World. Five Rathas, Arjuna’S Penance, Krishna Mandap, Mahishasuramardini Cave Temples, Krishna Butter Ball & Shore Temple, Beautiful Beaches. Afternoon Drive To Pondicherry, Which Is 132 Kms. & Approx 04 Hrs.On Arrival In Pondicherry Transfer To Hotel. Over Night Stay In Pondicherry. Morning After B/F Proceed To Sightseeing Visit Ganesh Temple, Aurobindo Ashram, Museum, Beach, Auroville, Mudaliar. Afternoon Depart To Tanajavur Which Is 177 Kms. & Approx. 06 Hrs. Drive. On Arrival In Tanajavur Transfer To Hotel. Over Night Stay In Tanajavur. Morning After B/F Proceed To Sightseeing Visit Brahadeeswarar Temple. Afternoon. Drive To Thiruchirapalli, Which Is 55 Kms & Approx 1½ Hrs. Drive. Transfer To Hotel. Night Stay In Tiruchirapalli. Morning Proceed For Sightseeing Tour Of Thiruchirapalli Including Visit To The Ranganathan Temple At Srirangam, 10 Kms Away From Trichy. Afternoon Drive To Madurai. Transfer To Hotel. Over Night Stay In Madurai. Morning After B/F Proceed To Sightseeing Visit Meenakshi Temple. Sundareswara Temple, Tirumalai Nayak Palace & The Vandiyur Mariamman Tank. Then Transfer To Airport. On Arrival On Airport To Catch The Flight Your Hometown. Tours End With Sweet Memories.